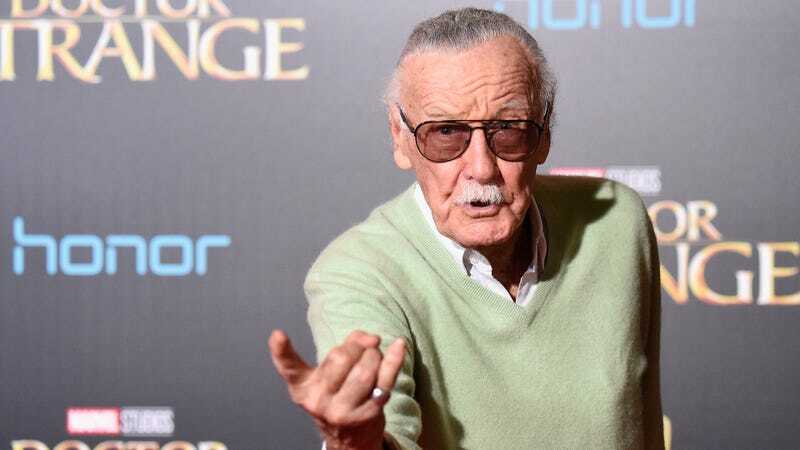 A new report out today sheds more light on the allegations that 95-year-old Stan Lee is surrounded by bad actors who are all trying to get their hands on as much of the famed comics creator’s money as they can. In the months after his wife Joan’s death last year, Lee has come down with pneumonia and multiple outlets have reported on his many financial woes allegedly stemming from bad business deals made with partners claiming to have Lee’s full confidence. While all of this has been happening, there’s been little official word from Lee’s camp itself addressing the reports of his poor health and his rumored money problems, but according to a new report from The Hollywood Reporter, Lee was attempting to protect his finances as recently as this past February. What’s most alarming and disconcerting about THR’s account of Lee’s current circumstances is that all of Lee’s communication is now supposedly being controlled by Morgan, and Olivarez has been directly involved in multiple of the business deals and transactions that have led to Lee spending hundreds of thousands of dollars. In addition to buying a condo valued at $850,000 using funds Lee once claimed had gone missing, Olivarez was also involved in Hands of Respect, a for-profit business that once sold commemorative pens using Lee’s name which J.C. claims has yet to pay the Lee family any money. Hands of Respect is also named as one of the one of the organizations trying to sell comic books signed with ink containing blood that, according to a report from TMZ, was allegedly stolen from Lee after an individual close to Lee provided his nurses with a falsified document ordering a blood draw. Perhaps most disappointing of all is that, from the looks of it, Lee doesn’t have anyone in his corner who’s able to protect him from the people that are draining him. If there’s one thing Lee needs right now, it’s someone genuinely acting in his best interest.